Making sure your child’s teeth are healthy doesn’t have to be boring! Most parents have heard that kids need to brush twice a day and stay away from sugar. Easier said than done! According to a survey performed by the ADA, about 75% of parents admit that their kids have forgotten to brush their teeth. 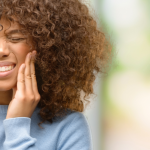 It’s also estimated that 51 million hours of the school year in the United States are missed due to tooth-related aches, pains and treatment. With that in mind, it’s no surprise to hear that the majority of children have missed a brushing. 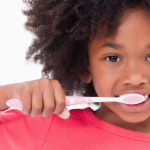 Can forgetting to brush impact a child’s dental health long term? The answer is yes. If kids are not educated on dental health early or are never taught that oral health is an important part of their daily routine they may end up having more trouble later on in life taking care of the oral issues that have developed from lack of care. According to the ADA parents admit that oral health is not a priority in comparison to cold/flu season, school safety and nutrition. How can a parent get started on educating their children of the importance of having good oral health? We have 5 simple suggestions parents can use to create excitement and enthusiasm around good dental habits for children. Boogie Down – It is suggested that a single tooth brushing last at least two minutes. Without watching the clock or using a toothbrush with a built-in timer, this can be difficult to measure. Instead of traditionally timing your children, consider finding a song they enjoy that lasts for about 2 minutes and challenge them to brush for the duration of that song. Put Them In Charge – When we say to put them in charge, we mean for them to be in charge of picking their own toothbrush and toothpaste. When a child (or anyone for that matter) get to make decisions over something, it helps create a sense of ownership. Talk To Your Kids – Talking to your kids about plaque and brushing is important, but don’t make it boring! Play on words and give plaque a unique name! 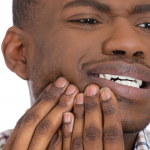 Some people call them cavity bugs, plaque monsters, teeth-eaters. Remember though, you don’t want to scare your children, just help them be aware. Prove It – So your kids don’t believe you, or they just plain don’t care about what happens to their teeth. A popular product is a special tablet your children can chew that will help show them the amount of plaque on their teeth and encourage them to brush and floss until it’s gone. Ask your dentist for more information on which product is best for your family! Reward Them – Give your kids a challenge involving brushing and flossing everyday. Create a chart that requires consistency. If they are consistent for a full month of brushing and flossing everyday, you can reward them. But if they miss a day, or a brushing or flossing – start over! Whatever it is, make it work best for your family. 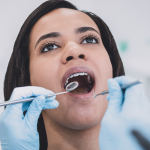 If you are looking to encouraging your children to better take care of their oral health by brushing and flossing, feel free to give Penn Dental Medicine a call. Penn Dental Medicine provides pediatric dentists who can help teach your children the importance of good oral healthy. Penn Dental Medicine also offers the Penn Smiles Mobile Dental Clinic, allowing kids at schools to receive oral health screenings and free exams to be sure the are reaching their oral health potential. For more information, give us a call today at 215.898.7337.